The best part about rivalry week is in the name: you’d be hard pressed to find a college sports fan (or any sports fan) who doesn’t relish the chance to root against their most-hated adversaries. The beautiful thing about rivalry week? It occurs amid the conference season, and there are so many deep-seated conference rivalries — sometimes unknown to even the most ardent followers of NCAA basketball — that almost every single game evokes passion from loyal fans. Unfortunately, this week doesn’t include every great college basketball rivalry. How could it? Some of the oldest, most significant games aren’t yearly events anymore because the teams have changed conferences — and the conferences are still changing. Because of the conference realignment that has taken place over the last few years, some traditional rivals no longer meet regularly, and maybe not even at all. This list doesn’t entail only the best games played this week. It’s five of the best, most competitive basketball rivalries to date — same conference or not — in the NCAA from top to bottom. As members of the Atlantic Coast Conference, these two powerhouses have been going at each other for decades atop the ACC. One year it will be Duke with the edge, the next it will be North Carolina. Both teams are usually filled with talented players, and this makes the game(s) that much more exciting and that much more worthwhile. Not to mention the rivalry pits two of the game’s best coaches against each other — the Tar Heels are led by Hall of Fame coach Roy Williams, and the Blue Devils by the similarly impressive Mike Krzyzewski. The reason this is No. 1 on the list, though, doesn’t revolve around the talent of the players or coaches. Those factors fuel the tension, but the rivalry is rooted in the close proximity of the two schools, which are just 10 miles apart. Durham (Duke’s home) is a hop and a skip away from Chapel Hill (UNC’s campus), and that short trip down means the teams’ respective fans regularly interact with each other. Hard not to, when you’re literally neighbor that thoroughly — albeit respectfully — despise each other. These are ingredients of a great rivalry. 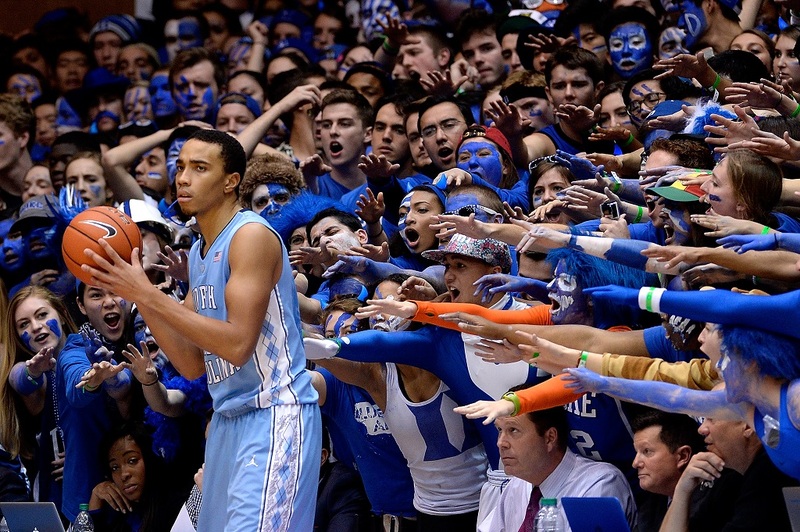 Similar to North Carolina-Duke, this interstate rivalry has plenty of tension. 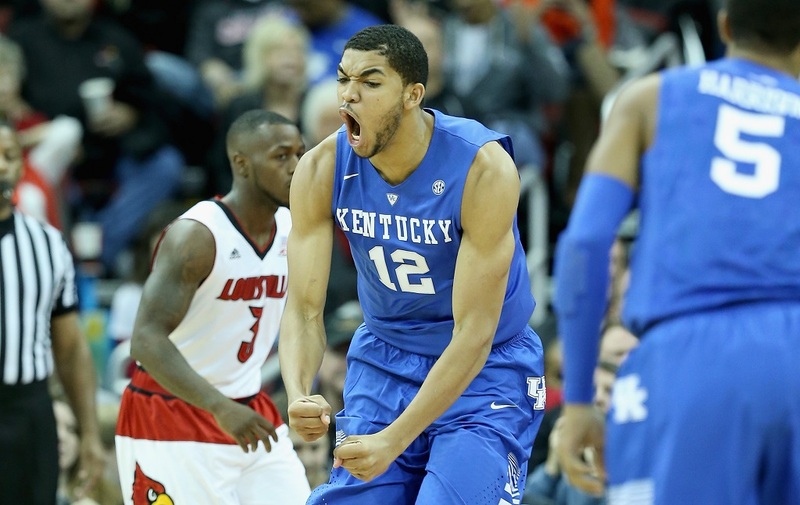 The “Battle for the Bluegrass,” as the rivalry is called, started in the early 20th century. Though it spans across every collegiate sport, basketball has by far been the most competitive. When current Cardinals coach Rick Pitino took the job at Louisville in 2001, the two teams were forever split — you see, Pitino coached Kentucky just four years earlier. People never forget when their beloved programs are involved. And even more so when their beloved coach leaves, only to later return as the coach for the arch-enemy. Unfortunately, aside from a potential NCAA Tournament meeting, the two teams are in different conferences, so they meet only once a year, if that. The Big Ten has a lot of heated rivalries, Michigan and Ohio State being the traditional feud. In terms of basketball, though, the Wolverines-Spartans rivalry has never been better. Between 2000 and 2008, Michigan was irrelevant in the college basketball scene, following the Ed Martin scandal in Ann Arbor. The rivalry was just as irrelevant as the Wolverines. The Spartans rarely lost, and Michigan, which was banned from post-season play for much of that time, failed to compete. Enter John Beilein, who took the Wolverine head coaching position in 2007 and has since single-handedly turned around the program. Michigan made the NCAA Tournament in 2009 (for the first time since 1998), 2011, 2012, and then made it all the way to the National Championship game a year ago. While the Spartans are always national contenders the Wolverines’ recent resurgence has reinvigorated this rivalry. 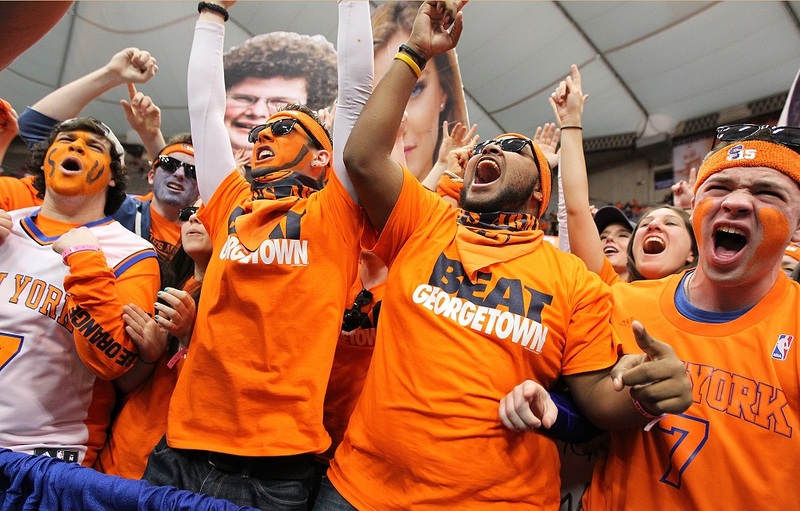 Formerly one of the Big East’s best rivalries, the Orange and the Hoyas go back decades, most notably to the 1980s, when both teams became as prominent on the national stage as they are today. This year, with Syracuse joining the ACC and Georgetown the new Big East in the continuing realignment, the rivalry may never be what it was. But it might also not be over. While a deal was talked over in 2013 that would allow the universities to play each other every year (similar to Kentucky and Louisville), that hasn’t come to pass, although the teams last met in December of 2015. 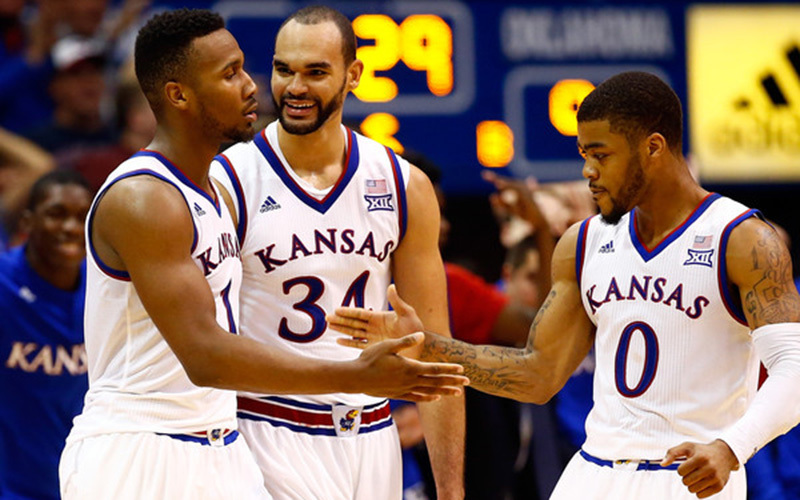 Just as Michigan and Michigan State have a dual conference and in-state rivalry, the Jayhawks and the Wildcats do, too. Since they’re both two of the Big 12’s best teams every season, each meeting tends to have championship stakes. Named after the state flower, the “Sunflower Showdown” has been a tradition for a strong basketball state since the early 1900s. It’s a tradition that fans will never forget.